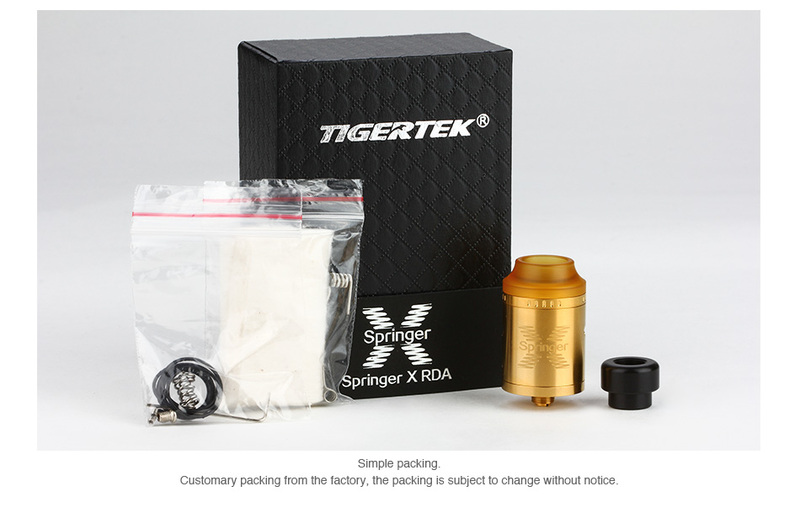 Springer X by Tigertek is a unique rebuildable drip tank with 24mm diameter and 2ml juice capacity. It adopts an innovative screwless build deck with spring-loaded posts for quite easy building and supporting both single and dual coils. 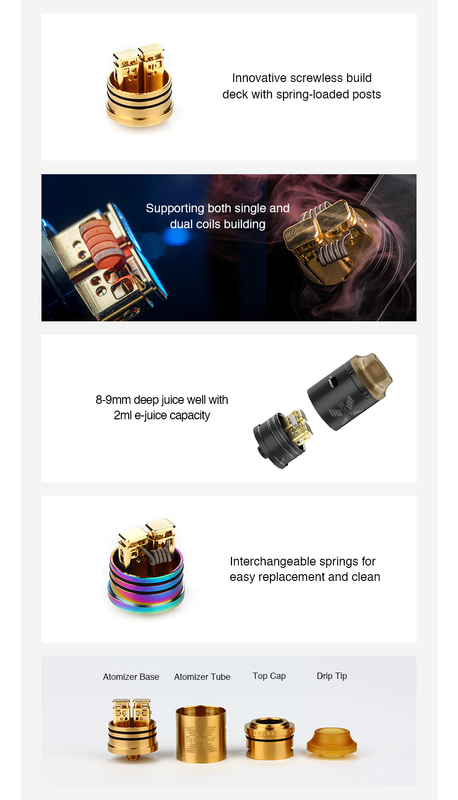 Together with two kinds of drip tips, two progressive adjustable airflow system, 8-9mm deep juice well and interchangeable springs for replacement, Springer X RDA will bring you an easy yet amazing vaping experience.